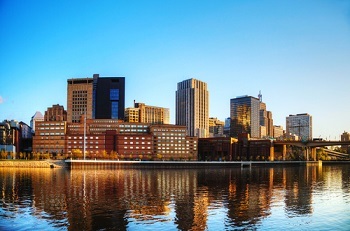 The inner-city community of Central Minneapolis is diverse as its residents, and is located close to everything the downtown core has to offer. 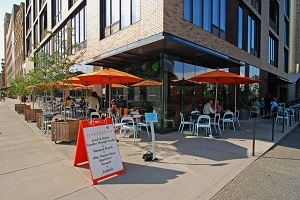 Central Minneapolis is home to upscale restaurants, stores, office buildings, Target Center, the Metrodome, the Guthrie Theater, and the University of Minnesota, are just some of the reasons thousands choose to live in this diverse urban community. LRT conveniently connects residents with the Mall of America, and the St. Paul International Airport. One of the oldest neighborhoods, Central Minneapolis real estate features turn-of-the-century architecture, some of which is still standing today. Central Minneapolis homes have undergone an urban renewal since the 1970s, and the area has seen a sharp increase in residential housing. See Central Minneapolis homes for sale below or learn more Central Minneapolis real estate opportunities. Ready to find your dream home in Central Minneapolis? Contact us and we’ll connect you with the best Minneapolis Real Estate. Central Minneapolis real estate is a combination of single family homes, condos, apartments & townhomes. Homes in the Stevens Square-Loring Heights community feature stunning architecture. Homebuyers can choose between Queen Anne, Colonial Revivals, Four-Squares, Arts & Crafts bungalows, English Tudor inspired homes, full of character. Affordable homes can be found in Elliot Park. Central Minneapolis condos with lake views can be found in the Loring Park community. A recent surge of new construction in the North Loop neighborhood has put a range of modern homes on the market. Downtown East is also seeing an increase in residential housing as the area goes through an urban renewal. Central Minneapolis homes take advantage of their prime location near a wealth of wonderful amenities. Fine dining, funky coffee shops, one of a kind shopping, parks, cultural attractions, and universities are just some of the nearby conveniences. There is no shortage of parkland with Loring Park, Green Central Park. Green Central Gym, Powderhorn Park & Recreation Center, the Midtown Greenway, and Lake Nokomis providing ample recreational opportunities. The Hosmer Community Library offers several leisure programs and helpful services for residents. Some of the cultural attractions include the Walker Art Center & Sculpture Garden, the Pillsbury House Theater, Guthrie Theater, Pantages Theater, Gallery 13. Other attractions include Target Field, Dunwoody Institute, the Woman's Club of Minneapolis, MCTC College, University of St. Thomas, and Metropolitan State University. Interested in a Central Minneapolis home? Contact us and we’ll connect you with the best Minneapolis real estate.